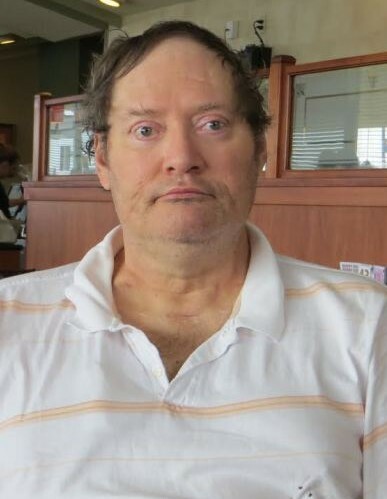 Lawrence Richard “Rick” Jones died 3/30/19 at Southwood Healthcare Center. He was born 10/1/51 in Dallas, TX, oldest child of Lawrence Richard Jones and Edna Maye Curry Jones. He grew up primarily in Greencastle and Terre Haute, IN, and resided in Terre Haute as an adult. He graduated from Wiley High School, Indiana State University, and the University if Arkansas School of Law. He also served in the Army National Guard. He collected and sold used books (and gave many to his nieces), and gave adult education lectures on topics related to US and international history.He spent many loving hours exploring Vigo and surrounding counties, and knew local landmarks as well as the back of his hand. He was an avid amateur historian, and was curious about and quite knowledgeable in a wide variety of subjects. He is preceded in death by his parents. He is survived by 1 brother, Jeffrey Jacob Jones of Hannover, Germany, 1 sister, Laurel Robin Jones of Irving, TX, and 3 nieces: Lauren Womack of Austin, TX, and Lindsay and Megan Womack of Irving, TX.